Technology Services of Iowa, LLC: Count it down...5 days left until Christmas! Count it down...5 days left until Christmas! Only 5 days left until Christmas!!! 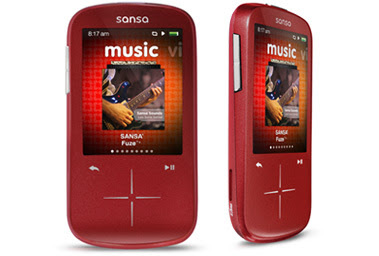 4GB Sansa MP3 player on sale this week!!! This player has it all! It has a built-in FM tuner, a MicroSD card slot for added storage, and awesome video and picture playback too! You can even use it without a computer by buying Pre-Loaded MicroSD cards with a 1,000 hit songs from the genre of your choosing. The cards are ON SALE HALF OFF THIS WEEK TOO!!! Collection ends TODAY at 8pm!! !